Author tinstar05Posted on October 30, 2017 October 29, 2017 3 Comments on What’s Red All Over? 1 Stamp – 2 Ways – 4 Challenges! Shopping Our Stash #326 – That’s sketchy! I’m submitting Card 1 for the first 3 challenges. For the SOS challenge, I chose to use the sketch from the TST challenge. I white embossed the poinsettia image on water-colour paper and then smooshed the CP inks (where I got overlap from the green it’s giving a bit of an orange hue), then I cut out the shapes to match the sketch, added some black to mount each piece and then assembled them all onto the white card base with some dimensionals behind the circle bit. I’m submitting card 2 for the CASology challenge as I feel that at Christmas time we should all cherish our family and friends; it is a time to show them all how much they mean to us. I gold embossed the poinsettia image on water-colour paper and then smooshed the CP inks, then I stamped, embossed and cut out the sentiment banner and then assembled them all onto the white card base with some dimensionals behind the circle sentiment. Author tinstar05Posted on October 28, 2017 16 Comments on 1 Stamp – 2 Ways – 4 Challenges! Today I’m playing along with a theme challenge from AAA Cards #101 – Inspired by a film. After having a look at the DT cards for the challenge, I realised you could be quite interpretative with the film inspiration, so I went to a favourite sentiment set by CAS-ual Fridays called “Frankly” which this specific one reminded my of the film “Gone with the Wind” and the memorable mansion fire scene, which I represented with Distress Ink sponged on the panel in Candied Apple and Spiced Marmalade, which to me sort of looks like the colours of the flames. I finished off my cards with some black and white twine from The Twinery and a few accents that look like raindrops. Author tinstar05Posted on October 25, 2017 5 Comments on Frankly my dear……. Today’s card has a Halloween feel to it. I played along with challenges from Shopping Our Stash #325 – the Walking Dead and Less is More #351 – Monsters. I have rediscovered my alcohol inks after watching a Jennifer McGuire video. For this card, I used my alcohol inks to make the background piece (sunset orange & sunshine yellow). I then printed a digital pumpkin face image onto the background and voila my card was made! I know my pumpkin face is not your traditional walking dead/monster but I think he’s pretty scary looking. This time I’m playing along with a new to me challenge blog – Craft Rocket Challenges #42 where you can create a card with a birthday or pretty pinks theme. I decided to do both – twice! 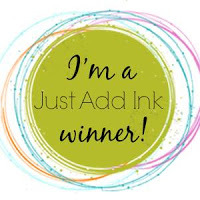 For my 1st card I used a Stampin Up stamp set called “Text Ya Later” which I stamped Basic Black and Berry Burst on Whisper White, Old Olive & Berry Burst card stock. I then fussy cut out the text and the phone and mounted them on a bit of Pop of Pink DSP. For my 2nd card, I’ve stretched the idea of pink with my little pink piggy which is from Simon Says Stamp called “Farm Animals”. I water coloured him with my Zig markers and stamped the sentiment from CAS-ual Fridays Stamps called “Shenanigans”.